Home » Third-Longest DOW Trading Streak Hits the Wall After 728 Days – What Lies Ahead? When a ship is trapped in thick fog near a shoreline, it relies on a lighthouse to ensure it doesn’t hit any rocks. The Administration seems like it’s ignoring the economic-“lighthouse.” Instead, they’re heading towards dangerous “rocks” while losing momentum that would allow them to steer away. The result might give the impression that the U.S. economy is drifting along. 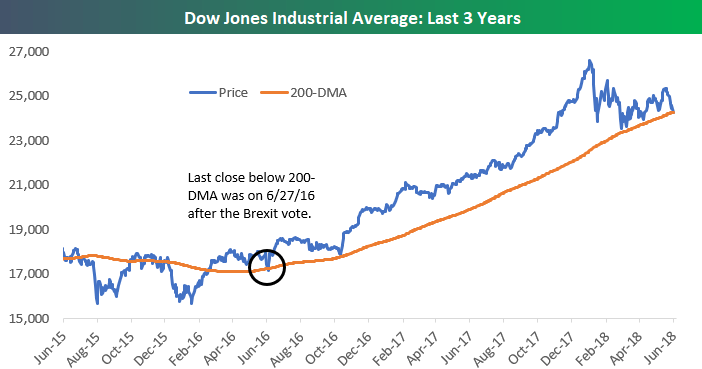 But a recent DOW failure makes it appear like it’s going to crash hard on the rocks. This is an indicator of momentum in a bullish or bearish direction. According to MarketWatch, right now the U.S. economy might be shifting towards bearish. The DOW closed sharply lower, falling around 328 points, or 1.3%, to 24,252.80, below its 200-day moving average, which stood at 24,280.02. That represents the first close below the average since the summer of 2016, when the U.K. vote to exit from the European Union sent shivers through global markets. Technical traders look at moving averages to analyze both short- and long-term asset momentum. By this measure, the DOW’s momentum appears to be slowing down. The MarketWatch report says the recent drop in the DOW shows that equity investors are spooked by recent trade war escalation between U.S. and China. There’s little doubt the U.S.-China trade wars will escalate, which is likely slowing the DOW’s moving average momentum even further. But it also looks like trade policy exchanges with the European Union and other countries will drive trade war fears too. Trade Barriers, Tariffs, and Wars… Oh My! This political threat will likely increase tensions with any country that, as POTUS tweeted, “placed artificial Trade Barriers and Tariffs” on the U.S. But it appears the Administration has targeted the EU as hard as China, threatening to slap a 20% tariff on imported automobiles made in the EU. In a tweet Friday, Trump said the U.S. will apply a 20% tariff on all imported cars made in the European Union unless trade walls aren’t “broken down and removed” soon. That’s 10 times higher than the current level of duties. Automakers such as BMW, Porsche, Volkswagen, and Mercedes-Benz shipped about 1.2 million cars made in Europe to the United States in 2017, according The Wall Street Journal. That’s about $43 billion worth of autos. So trade wars are escalating on multiple fronts, and the markets have already reacted once. Who knows if the next “mini-correction” will be worse? And analysts agree: the recent DOW momentum slowdown isn’t just related to trade, as they are also fearful about overall growth. Having the Dow close below its 200-day is not a good development. Plus you’re seeing bond yields move down and copper falling recently. Both of those could be a sign that there aren’t just concerns about trade, but also about growth going forward. So it appears market momentum is slowing, multiple trade wars are brewing, and the Administration isn’t helping by adding “Twitter-fuel” to the fire. Protectionist trade policies appear to be backfiring. If they implode, the U.S. might have to backpedal in other areas to keep the U.S. economy afloat. 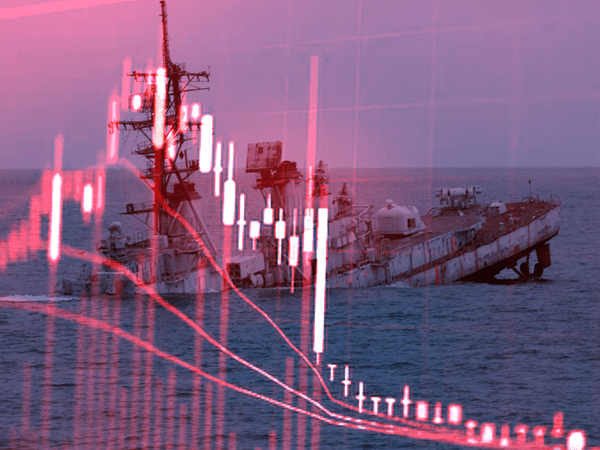 You don’t have to let your portfolio sink with the ship. Assets such as precious metals could be the flotation device that keeps you from drowning financially.